This was actually today, so not last week at all but I wanted to show you the coat I am wearing because , quite simply it has been an absolute godsend in all this biblical rain we’ve been having. It’s the Oasis waxed parka with quilted lining. I thought the fur on the hood looked a bit scraggy so I took it off mine (I had to take the buttons it buttons onto the hood with off too as they kept catching in my hair and ripping it out – ouch!). I’m currently wearing it with the quilted inner buttoned in for warmth but I can see it being very useful come warmer weather when I can take it out and use it as a raincoat. Okay, it’s not a performance item like say, a real Barbour would be, but it’s had a real testing in the current weather conditions and it’s pretty damn good at keeping me warm and dry. I recommend. 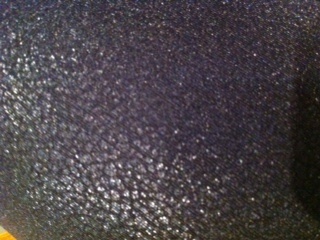 You can’t really see it in the first photo but the boa leggings have got a really unusual finish, part leather, part wet-look, part glitter. I recently dug them out, having not worn them for at least two years and was reminded by how much better they have worn than the various wet-look leggings I have bought over the same period, all of which have lost their coating after a few washes. 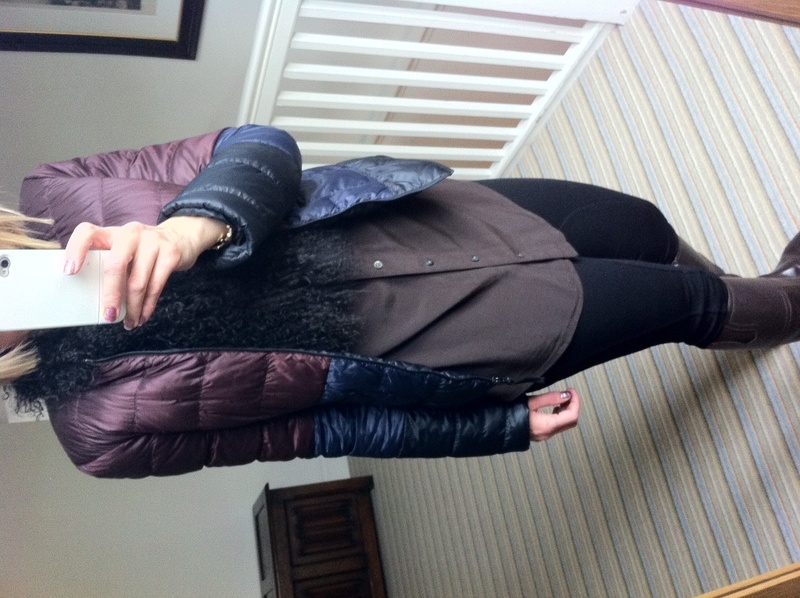 Mid-way through last week my M&S kids faux fur gilet arrived (!!). Now this I ordered after Kat from Does my Bum Look 40 recommended it. I think Gina ordered it too. 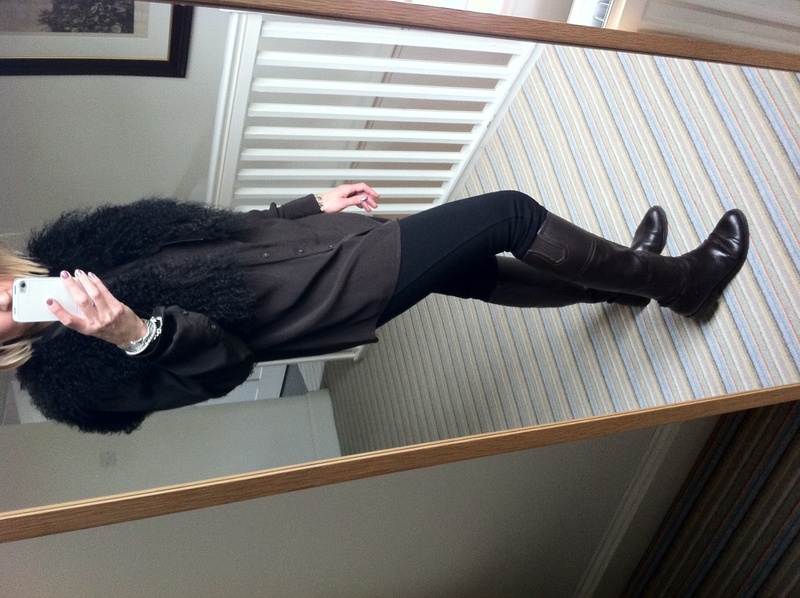 It was pretty good, about an 8 out of 10 I would say but in the end I sent it back because I already own two (real) fur gilets that I don’t really wear enough, hence me digging out this short brown mongolian fur gilet below. 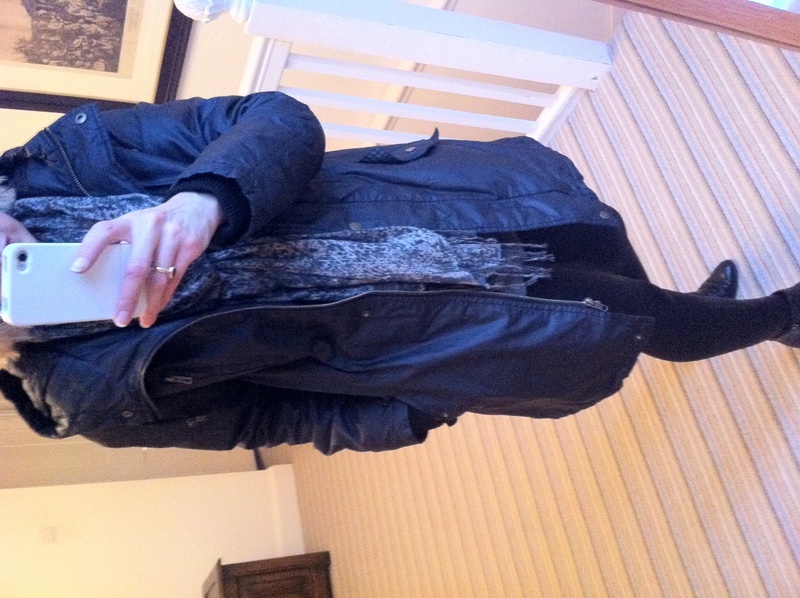 Later on I added the Comptoir/Uniqlo short reversible puffa jacket. Although when I bought it I gave more consideration to the colours of the striped side than the solid colour inside, I actually hadn’t worn it coloured side outwards until today. Saturday night, was a well-earned and much looked forward to night out with friends at a wonderful dinnerparty. 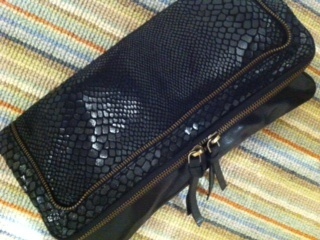 Leather snakeskin and zip clutch by Urban Code from Asos (sold out). This clutch was a bargain, reduced to £45 on Asos, and I was absolutely delighted with it when it arrived last week. I think this particular style is sold out now but Asos still has some other Urban Code designs, also heavily reduced. This is the crossbody version of my clutch (hmmm, I may have just ordered this one too…..) and I like this stitch detail clutch. 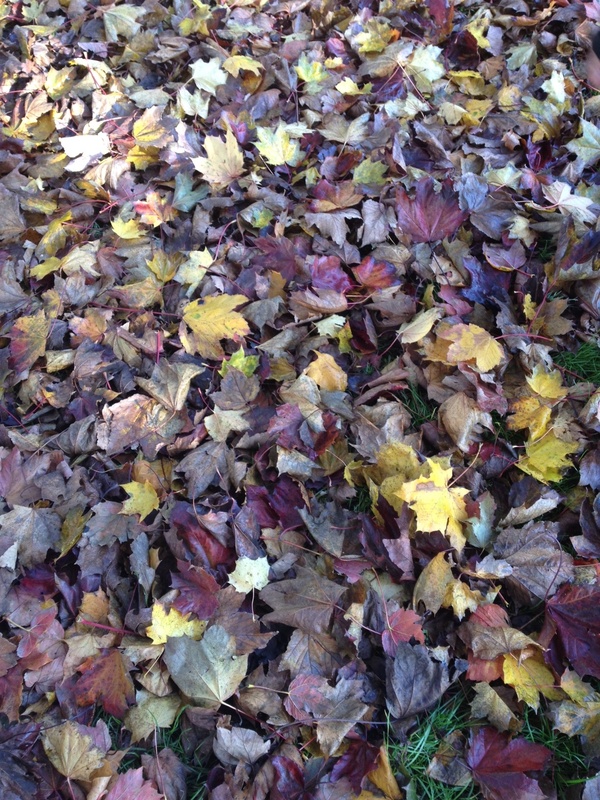 Sunday, the children stopped being ill, it didn’t rain (well, only a tiny bit!) and the sun actually shone and it was a lovely (if blustery) autumn day so we took everyone out for brunch and then went for a long walk (and cake!) at the local National Trust place. This entry was posted in American Apparel, ASOS, Belstaff, Day Birger & Mikkelsen, John Lewis, Kew, Kookai, Kurt Geiger, My-Wardrobe, Oasis, Outfits, Pied a Terre, Sass & Bide, Tibi, Topshop, uinqlo, Uncategorized, Urban Code, Warehouse on November 27, 2012 by Nat WornOut. Friday I spent doing jobs at home while my mum played with La Bambina then went for after school milkshakes. I wanted to try some yellow and grey together. It is my favourite colour combination and I wore a fair bit of it in the warmer weather. 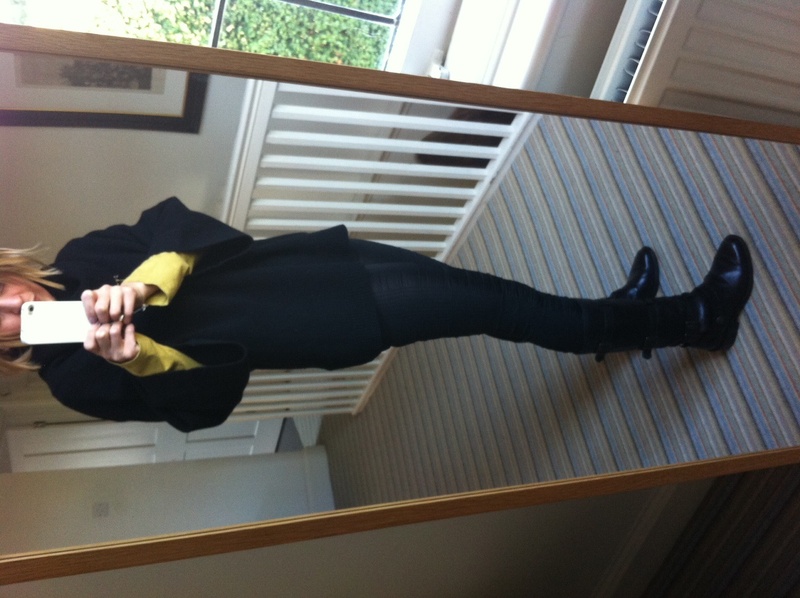 Here I am in Zara jeans, Zara cowboy boots, Gap yellow tee and All Saints cashmere cowl neck. Saturday we had a birthday party at an indoor play centre. I usually hate those places with a passion but it was a good party and I had fun too. It was a 10am start and we had to stop and get a gift on the way (disoragnised, moi?) so there was little time to get ready. 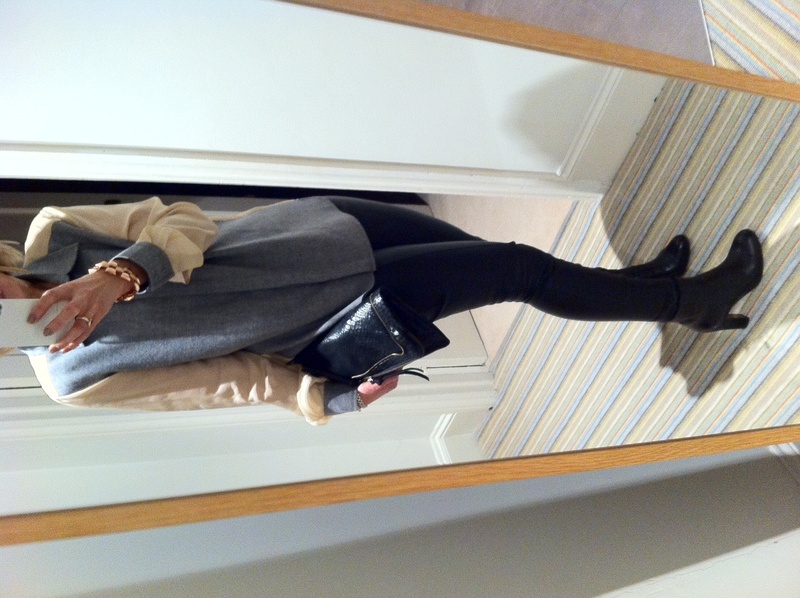 I was unhappy with this outfit; Mint Velvet silk fronted tee (similar), All Saints cardigan (similar), Zara skinnies. I added silver Ash Thelmas to go out. Saturday night I went to meet some of my WornOut friends who had been at the Mumsnet Blogfest during the day. I wore the Zara studded sleeve coat lots of us have, with a Zara shearling wrap on top (last year), Sass & Bide Black Rats, Gap slouchy roll neck, Oasis Carrie wedges, Warehouse plum studded clutch. Accessorised with La Bambina who enjoyed her first night on the tiles with my lovely mates. Sunday started early. 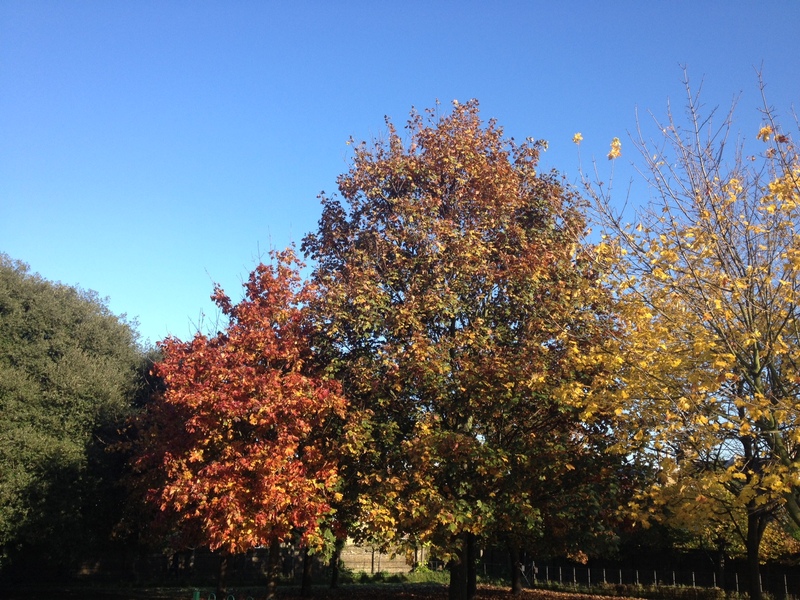 It was a beautiful day and my eldest and I were in the park at 7:45 drinking the hot chocolate. 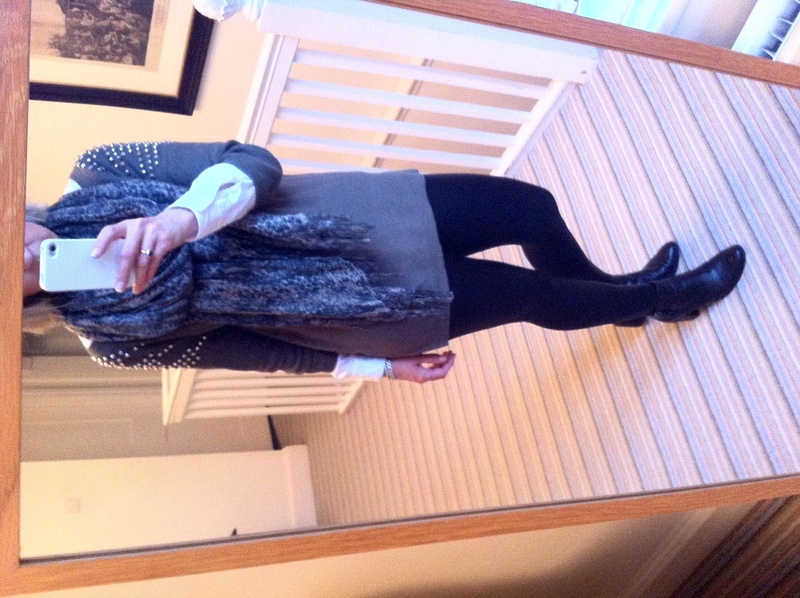 I wore a Zara ensemble – khaki trousers, navy and white star sweatshirt, parka. Sunday afternoon we went for a long stroll along the river and a lovely meal. 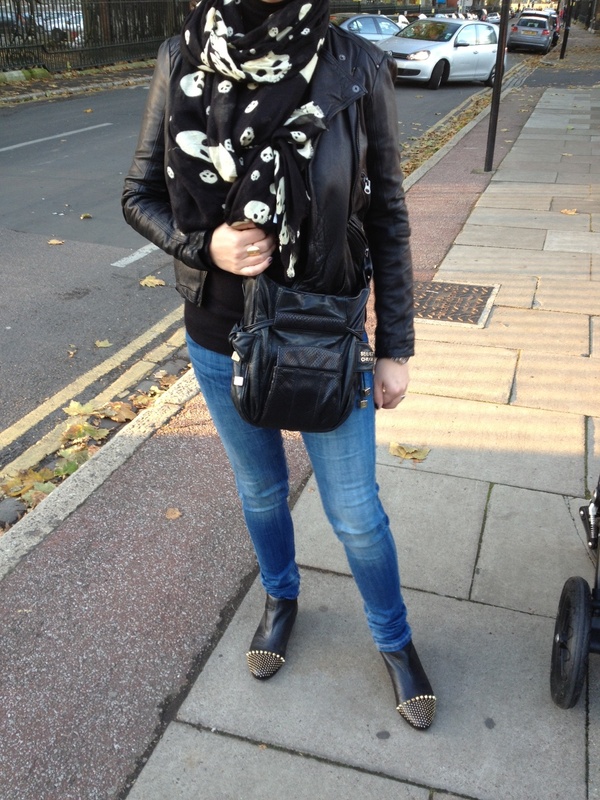 I wore Zara skinnies, Aldo Boeken studded boots, black Zara roll neck (I borrowed this from my sister and actually really rate them this year), black and gold See by Chloe bag, Zara cream and black skull scarf, Zara black leather jacket. I will try and have a least a day or two this week where I don’t wear anything from Zara! This entry was posted in Aldo, All Saints, Ash, Gap, Mint Velvet, Oasis, Outfits, Sass & Bide, Warehouse, Zara and tagged Aldo, Gap, Mumsnet Blogfest, Oasis, Warehouse, Zara on November 12, 2012 by Eve WornOut.